The kingpin of the gang Kailash Rajput, is currently settled in Dubai and controls the drug trade from there. 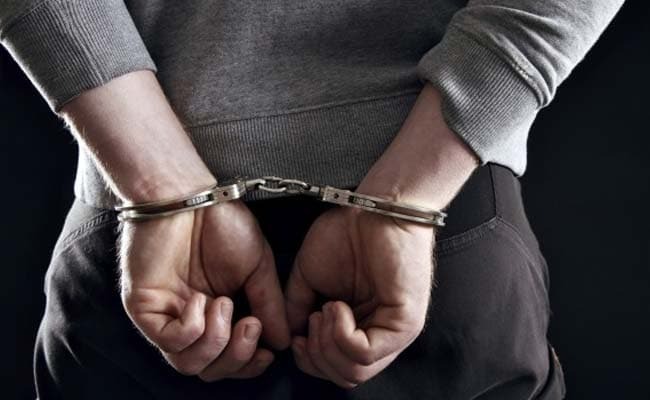 New Delhi: A nephew of Samajwadi Party MLA from Mumbai, Abu Azmi, is among four persons arrested for allegedly being involved in smuggling drugs from Delhi to overseas, police said. Police also seized five kg of the drug 'Ice' which is worth Rs 5 crore in the international market. The kingpin of the gang Kailash Rajput, is currently settled in Dubai and controls the drug trade from there. Azmi's 43-year-old nephew Abu Aslam Qasim Azmi alias Aslam is the right hand of Rajput, Deputy Commissioner of Police (special cell) Sanjeev Kumar Yadav said. Aslam was arrested from Mumbai yesterday. The special cell of Delhi Police has been working on busting cartels involved in supply of 'ephedrine' and ecstasy (MDMA) in rave parties in Delhi, Chandigarh, Mumbai etc, he said. Police received a tip-off about a man Amit Aggarwal procuring Ephedrine from Zirakpur, Punjab. He, along with his associates, used to supply MDMA, popularly known as 'ice' to clients in India and abroad. The police laid a trap on June 4 at Mahipalpur to nab the accused. The team, working on the case learnt that a consignment of 'ice' has been sent from Mumbai to Delhi and will further be shipped to the US and UK, Yadav said. The drug traffickers were supposed to come to their Mahipalpur office for packaging of the drug consignment, he said. A person, carrying a red and black-coloured bag came to the office around 5.50 AM. He was identified as Avdesh Kumar (26) and was nabbed while he was entering the office. Police recovered five kilogram of the contraband from his possession. Following Kumar's arrest, his employer Amit Aggarwal (40) and manager Chandan Rai (31) were also nabbed. Aggarwal revealed that the consignment was sent by Aslam from Mumbai. He was arrested from a five-star hotel in Mumbai, the DCP said. Kumar had joined Aggarwal's firm in 2015. He was lured into the business on the promise that the money received from the smuggling will be split equally. During interrogation, Aslam revealed that he earlier worked in a cargo company in Dubai. He left his job and moved to Mumbai. He knew Rajput through some mutual friends. Aslam opened a restaurant in Goa and came in contact with drug traffickers there. Rajput used to supply drugs to them following which bot of them decided to join hands in the drug trade. Aslam made his base in Mumbai and received and distributed the drugs on directions of Rajput. He managed to carve out a large network of drug traffickers based in metros, Yadav said. Around three years back when Rajput was arrested by the Mumbai Police, Aslam helped him during his trial period and became his close aide. On the kingpin's directions, he supplied the drugs through courier to France, Germany, UK, Spain and USA, the DCP said.